Nintendo has unveiled its latest release, and it's a little less high-tech than you might expect. 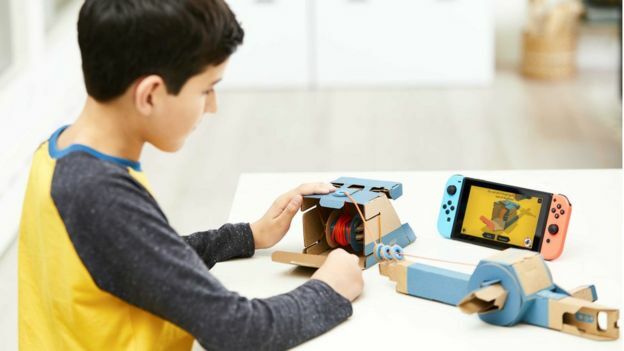 Dubbed Labo, it is a series of DIY accessories for the hit Nintendo Switch console which are made of cardboard. A preview video suggests they can transform the Switch's Joy-Con controllers into a piano, a fishing rod, a motorbike or even a robot suit. Nintendo said the range of "interactive build-and-play experiences" would be released on 20 April. Initial pricing will start at $70 (£51) in the US - including a cartridge of games designed to be played with the homemade controllers and a range of stickers to customise the creations. 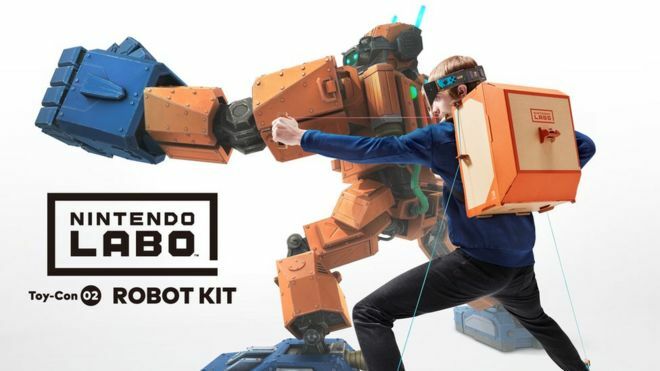 This cardboard add-on might on the face of it seem a flimsy gimmick, but there are few fools at Nintendo. History tells us they know what they're doing. The company that brought us the RumblePak and the Wii has rightly earned a reputation not just for being innovative, but playful. Playful in a way that manages to keep adults and children interested, like a good Pixar movie or Lego. This latest idea is so crazy it might just work. By tapping into the maker movement, Nintendo could potentially open up a whole new world of experiences on its smash hit Switch console, a device that many (myself included, I must say) were weary of when it was first released. The educational potential is also huge, though the price point of the Switch - $300 or so - probably rules it out as something schools might be able to hop on board with. Still, looks like great fun. The Switch breaks tradition with the firm's previous home consoles by allowing owners to use it for game-playing on the move. Earlier this month, it was named America's fastest-selling home games console. A total of 4.8 million units were sold in the US during the 10 months following its launch there on 3 March. The latest official figures from December show that the Switch sold a total of 10 million units worldwide in its first nine months. Analysts say its success has been helped by games such as Mario and Zelda titles.